One day, I was invited to view a theatre short all the way to Penrith. I thought it was a perfect excuse to go around the city. Not that Sydney and Penrith are entirely close (Penrith is close to the mountains), but it was a good stop over before heading up. Fortunately, that weekend, Sydney seemed to have something up its sleeve. 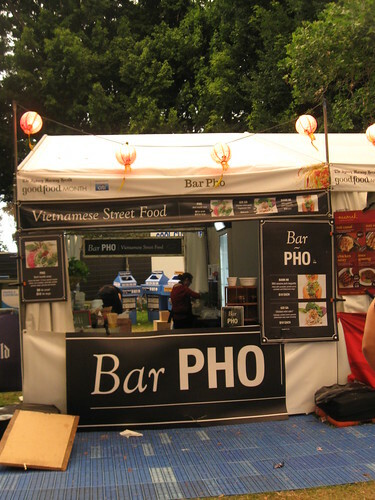 The annual Sydney Night Noodle Market was up and how could I not resist eating some of the best Asian hawker-style grub around New South Wales, right? So I went up to Hyde Park and gave it a go. I came in quite early. In fact, the atmosphere in Sydney was really weird because it had that weird orange afterglow. It was honestly pretty but I’m not quite sure what to make of it. Is this normal weather? Some regular apocalyptic doom? I didn’t give a frack so much that I just assumed that whatever it is, it looked beautiful. It also gave most of my pictures an orange afterglow! 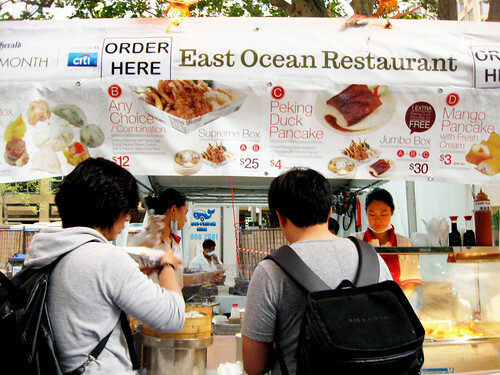 The stalls were slowly opening up and the first thing I tried was a piece of peking duck from East Ocean Restaurant. When you’re nomnoming, start light and start well. 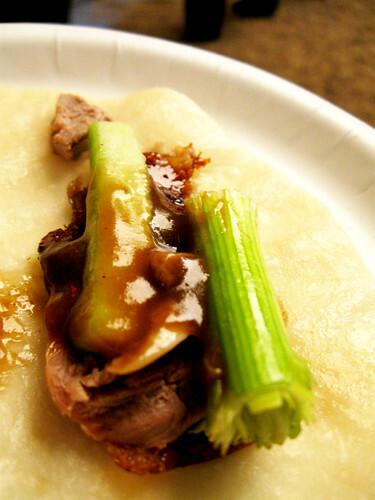 The peking duck was not a disappointment. It shouldn’t be for $4.00 a pancake. Hear me complain a little since yeah… that small thing was bloody expensive. It was really good though. Not a bad start. 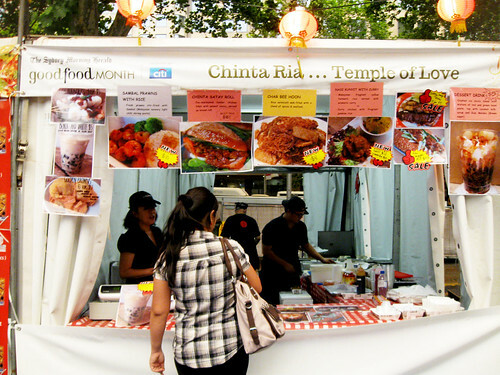 I then went to this Malaysian stall named Cinta Ria that had “Malaysian Dessert” on their stall (among other things). 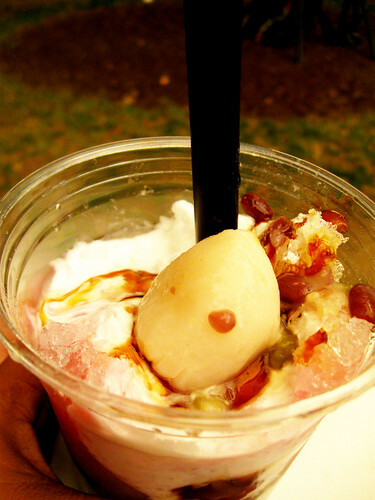 It was strange because when I asked if it was Ais Kacang, they said it was close to it but not quite. Just so they won’t set expectations to those familiar with Ais Kacang, they just said Malaysian Dessert. I suppose they ran out of creativity but I gave it a try nonetheless. It was a hot day. There’s something in the air that made things tad muggy and eerie that a drink dessert wouldn’t hurt. In fact, this Malaysian Dessert was quite awesome since it had lychee and freshly cooked red beans in it — not the super sweetened kind. While I walked around to find another thing to munch, my attention was caught by a bunch of ladies fiddling dough with their hands in the New Shanghai stall. Now, I love seeing cooks at work. I just couldn’t understand how these ladies were talking and chatting while making pretty dumplings in their hand. I can’t even make a pretty dumpling as it is! Curious I am with their effort, I decided to join the line and queue for their dumplings. Apparently they were making xiao long bao. The last xiao long bao I ate was in Shanghai and that was pretty good stuff (for pretty cheap prices!). 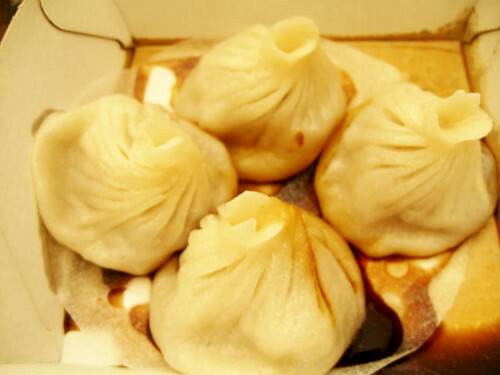 And to be honest, I’m not expecting something better than xiao long boa in Shanghai. 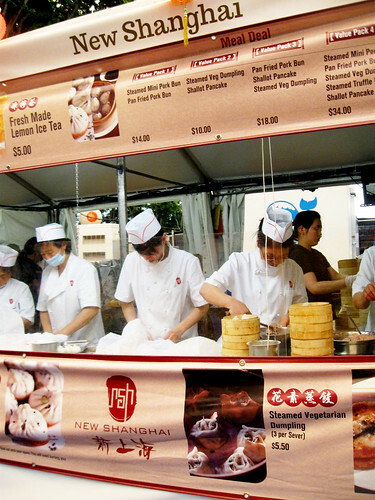 For one, xiao long bao originated from Shanghai, so they know their stuff. Of course, as with everything, I was humbled by the xiao long bao I ordered from those busy ladies in the night market. It was the most heavenly xiao long bao I ever tasted. The soup bursts and coats your tongue with this lovely porky sweetness. All I could think about was the surprising sweetness that was balanced by the savoury flavour of the meat. It was glorious. I completely forgot that I was in quasi-apocalyptic Sydney. It took some while before I finished the dumpling. 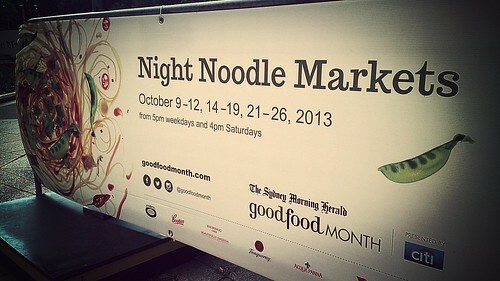 In fact a part of me had this urge to get another but I was only half-way through the night noodle market. I wanted to at least eat noodles in the night market but nothing really caught my attention. At least until I smelled Bar Pho’s stock. Now, I’m not a pho specialist but there’s a restaurant in Manila that makes a decent pho so I have my expectations when ordering one. 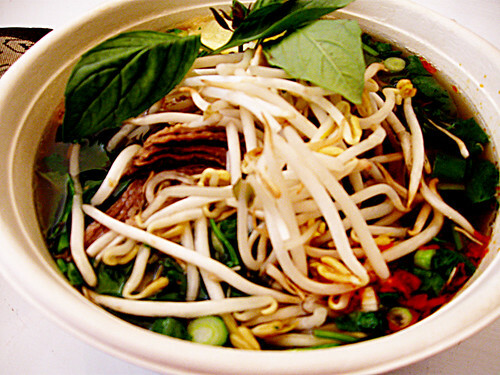 Bar Pho’s pho was a smell you cannot resist. I was a good 5 meters away and I can smell pho. They served a very simple and straightforward pho. Lots of greens, mung bean sprouts, and awesome beef. What I loved about their pho is they gave me more than just slivers of beef but beef chunks. I wondered if it’s an Australian thing liking big beef things. I guess that explains the awesome beef flavours of the pho. My only regret was that I ordered too big a pho that I couldn’t finish the rest before I needed to get on my train to Penrith. Still, as I walked away from the start of a lively evening in Hyde Park, I figured, I could have a go with this again. That said, I also shared a table with a nice OL and she told me that the orange haze was due to the heavy fires around the Blue Mountains area that week. That was a surprise. I’ve never experienced being in the periphery of a massive bush fire so that was quite a surreal and sad moment amidst all the fun I had in the night noodle market. Here’s hoping to visiting this again next year.